Cocaine relapse doesn’t just happen. It’s a predictable process. According to a study by Mount Sinai researchers, it’s most likely to occur within and just after the first six months of recovery. The Mount Sinai research suggests that if addicts beef up on relapse prevention aftercare during the first year of being clean, they may be better equipped to maintain a long-term, drug-free lifestyle. What Is The Cocaine Relapse Process? A slip may be in the works weeks or even months before the actual event occurs, even though an addict reports no desire to use. Symptoms include mood swings, anxiety, resentment, depression, hostility, apathy, and self-pity. The person may be sleeping and eating poorly or feeling disappointed about unmet expectations. He or she might be isolating and refusing to talk to others or ask for help. Attendance at support groups may fall off. As negative emotions and addictive behaviors increase, so does the potential for a slip. The addict now thinks about using. Usually, these thoughts are accompanied by a belief that he or she can now control their using and successfully hide it from everyone else. At this point, it’s vital for a recovering addict to talk to someone else. 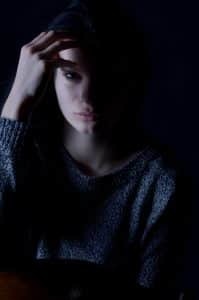 The urge to use will usually dissipate after it’s shared with a counselor or an understanding “recovery buddy.” However, if the cravings are not addressed, a slip is very likely to occur. Former studies on the most dangerous times for recovering addicts were based on self-reports from those in recovery. Those reports indicated that the longer an addict has been clean and sober, the less desire they would have to use. To challenge this belief, the Mount Sinai researchers measured cue-induced cocaine cravings by electrical activity in the brain. The researchers collected EEG samples from those who had been sober between two days to one year. Readings were taken while the subjects viewed photos that included images related to using cocaine. Subjects also recorded self-perceived levels of craving after viewing all the pictures. Self-reported desires to use decreased the longer the subject had been sober. By contrast, EEG readings indicated that the desire to use increased over a six-month period and was strongest just after six months of being clean. This is exactly when most addicts are getting out of rehab and cutting back on treatment for addiction. According to the University of East Anglia researcher Peter McCormick, “one single shot of cocaine can completely change the brain architecture and ‘set up’ an addict for stress-induced relapse.” For cocaine addicts, in particular, there appears to be a direct correlation between stress and using. Because addicts typically feel stressed when they leave the relative safety of inpatient care and return to the real world, it makes sense that this is when they are most likely to slip. The results of the Mount Sinai study indicate that addicts who have been clean and sober for six months or less and are leaving the 24/7 support of inpatient treatment may greatly benefit from an intensive and extended aftercare regimen. Outpatient treatment can be continued for one year or longer. Ongoing individual and group therapy sessions, regular visits to a psychiatrist to evaluate the need for medications and regular attendance at Narcotics Anonymous and other support group meetings can all help to prevent cocaine relapse during the first crucial year of recovery.